Woodland birds are bird species which depend on native woodlands. 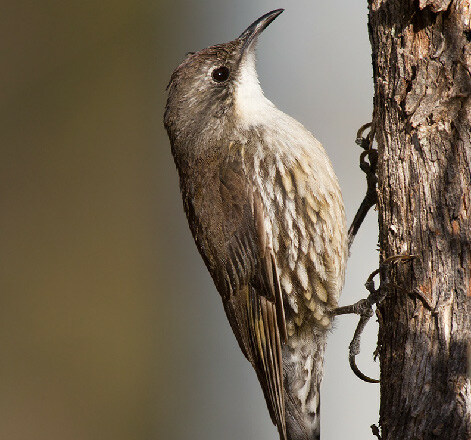 They are sometimes called woodland-dependent birds. Unfortunately, woodlands have been widely cleared for agriculture and urban development leading to a widespread belief that woodland birds must be declining. Many have studied the decline of woodland birds, most commonly studying the effect of changing tree cover and fragmentation. The results of these studies vary. Some find evidence of decline; others dispute that a decline is taking place. Similarly, the nature of the relationship between woodland birds and tree cover and fragmentation varies substantially too. These differences might be due to regional or scale differences between studies. But could there also be underlying disagreement about what actually constitutes a ‘woodland bird’? 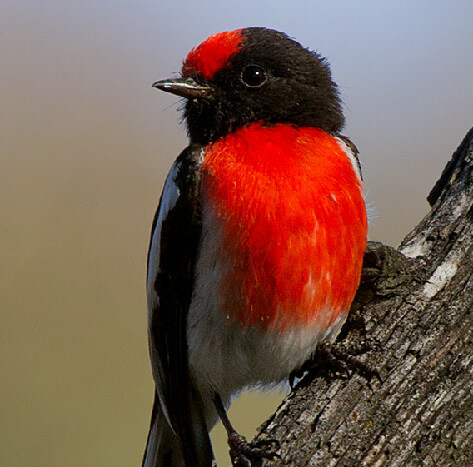 The red-capped robin, classified as a woodland bird in 100% of lists (Photo by Patrick_K59 used under Creative Commons license). A shared understanding of the meaning of words is central to communicating ideas in all disciplines. In ecology, there have been sporadic efforts to promote consistency in terminology but little progress. Inconsistent terminology can lead to a range of problems including difficulties in finding relevant studies, redundant investigations and an inability to synthesise across studies (eg, meta-analysis). It can also create problems when communicating findings to other scientists, policy makers and the public. On the other hand, some argue that consistent terminology is unnecessary because often the meaning is clear from its context. What’s more, multiple definitions of a term are thought to open fields of enquiry that might not have been possible with a restrictive definition. So, how important is consistent terminology when it comes to determining the conservation status and trends of a group of birds loosely referred to as ‘woodland birds’? To answer this question, we systematically reviewed the literature and compiled a set of 38 lists of woodland birds. This allowed us to work out how consistently each species was classified as a woodland bird (Fraser et al, 2015). We found that 8 species were always classified as woodland birds and 13 species were always classified as non-woodland birds. 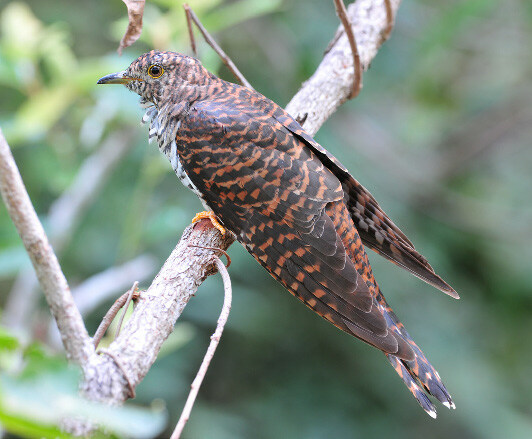 The remaining 144 species were sometimes classified as woodland birds and sometimes as non-woodland birds. This surprised us as we had expected that only a few, less-well-understood species would be classified inconsistently. However, this high inconsistency suggested that further investigation was in order. Why do researchers use different terms? Disagreement about how to determine which birds depend on woodlands: Researchers variously determine which species are woodland birds based on i) whether they saw them in a woodland, ii) whether they occur more often in woodlands than in other habitats, iii) their nesting and foraging traits, iv) what types of habitat they require or avoid (eg, do they need large areas of habitat or do they avoid degraded areas), v) process of elimination where certain types of species like water birds are excluded, or vi) whether they have been classified as a woodland bird in another article/book. Georgia Garrard and colleagues modelled the effect of habitat aggregation (which is roughly the inverse of habitat fragmentation) on the occurrence of woodland birds, using a subset of species that they considered to be woodland birds (Garrard et al, 2012). We re-ran their model first using the entire complement of species and then using different subsets to emulate the effect of being increasingly selective about which species you consider to be woodland birds. We found that as you are more selective about which species you include, the estimated effect of tree cover aggregation increases. Our analysis revealed a systematic bias in results where studies which are less selective about which species are woodland birds are likely to obtain different results (probably with lower effect sizes) than those that are very selective about their classification. In other words, how you define woodland bird species has an important bearing on the results you obtain. What does this mean? When comparing results from studies using different classifications it is impossible to know whether differences are attributable to data collection, survey area or analyses or whether they are due to differences in classification. This essentially renders all studies with non-identical lists incomparable. This is particularly problematic for trying to understand woodland bird ecology or predict how they will react to management. 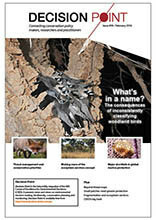 Only a small subset of research uses identical lists of woodland birds, so researchers must choose between including all available information (which risks differences in classification confounding results) or only including studies which use the same list of woodland birds (which risks excluding valuable insights from other studies). This analysis leads us to suggest that woodland bird researchers should unite behind a single definition and list of woodland birds. We also believe that this is an approach that would be beneficial to ecology as a whole. It is unlikely that woodland bird research is the only realm of ecology where terms are being used inconsistently and clouding results. If our findings hold true for other terms, we believe that it is extremely important to develop a consistent definitions of these terms. Our research shows that this is likely to be an unpopular suggestion but we believe that standardisation will make it easier to find and compile relevant evidence in the literature, avoid redundant scientific investigations and ease communication of research. 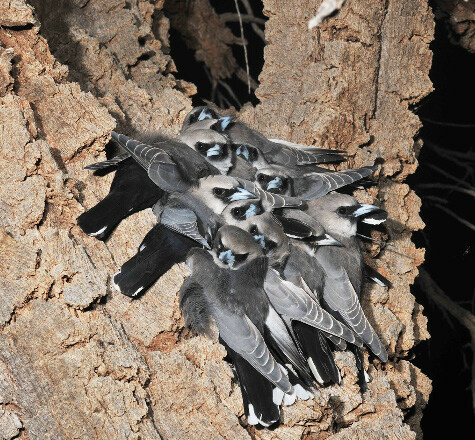 If we could standardise our approach to woodland birds we believe that there may be scope to list a woodland-bird Threatened Ecological Community under the EPBC Act. The first step towards this is identifying which species comprise a woodland bird community; then we will need to determine whether the community qualifies as threatened. Long story short, how we name woodland birds, indeed any bird group, is important. It’s about time the conservation science fraternity acknowledged this and we move to some accepted standard within which we can reliably pool our common knowledge. Garrard GE, MA McCarthy, PA Vesk, JQ Radford & AF Bennett (2012). A predictive model of avian natal dispersal distance provides prior information for investigating response to landscape change. Journal of Animal Ecology 81: 14–23.